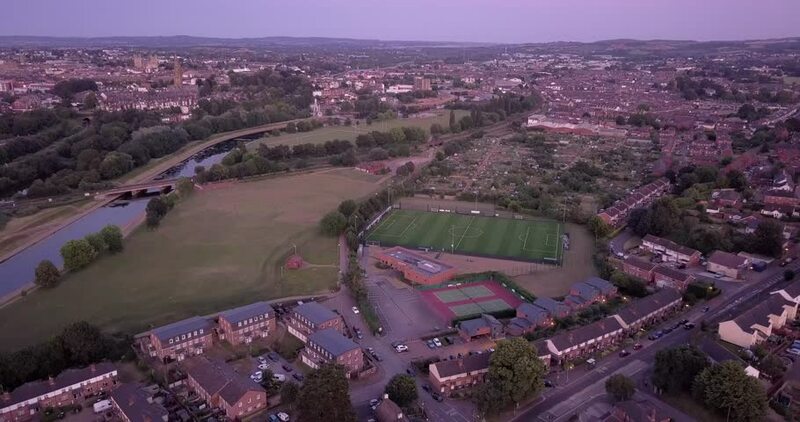 An aerial view of Exeter featuring residential homes, and a football pitch. 4k00:24Aerial Netherlands Amsterdam June 2018 Sunset 15mm Wide Angle 4K Inspire 2 Prores Aerial video of central Amsterdam in the Netherlands during a beautiful sunset with a wide angle lens. 4k00:18Camera flight over small village. 4k00:17Aerial view of Fripp Island, South Carolina, homes and beach.